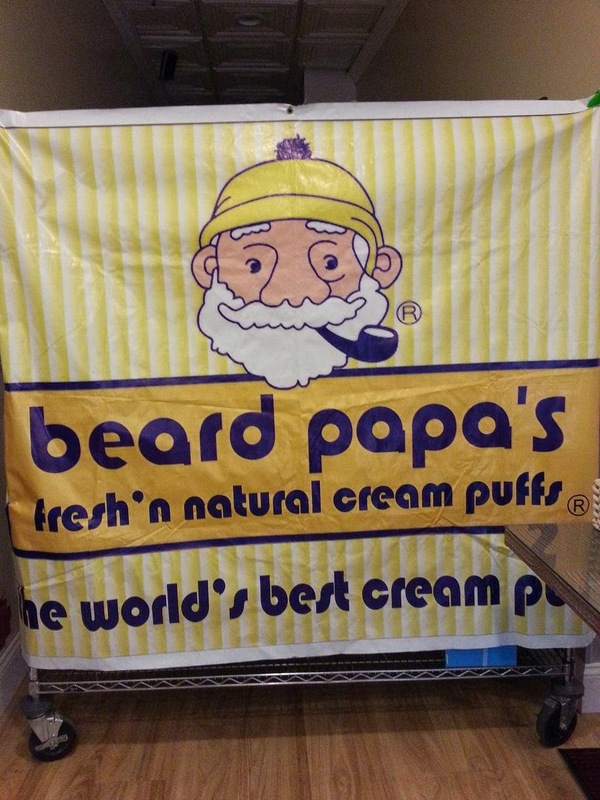 FRESH CREAM PUFFS @ BEARD PAPAS - GARDEN GROVE - EAT WITH HOP! MADE FRESHHHHHHHHH TO HAVE A CRISPY CRUNCHY FIESTA IN YOUR MOUTH! 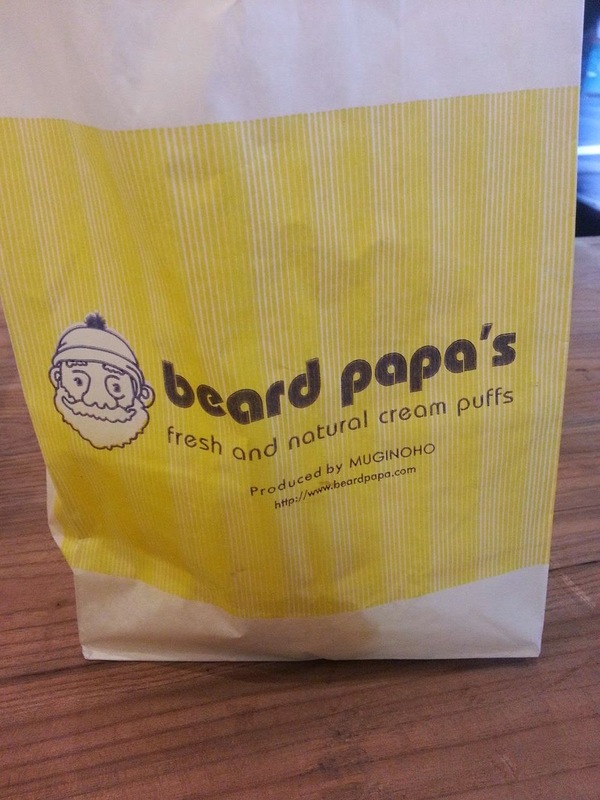 Okay, so the first time that I ever had Beard Papas was when my Japanese friends introduced it to me on Hollywood Blvd where that Dolbe Theatre Plaza is. They informed me that this is a Japanese Brand and that it's made FRESH AND SUPER DELICIOUS. Indeed they were right! Ever since that experience in Hollywood, I always kept an eye out for this bearded man in Japan. 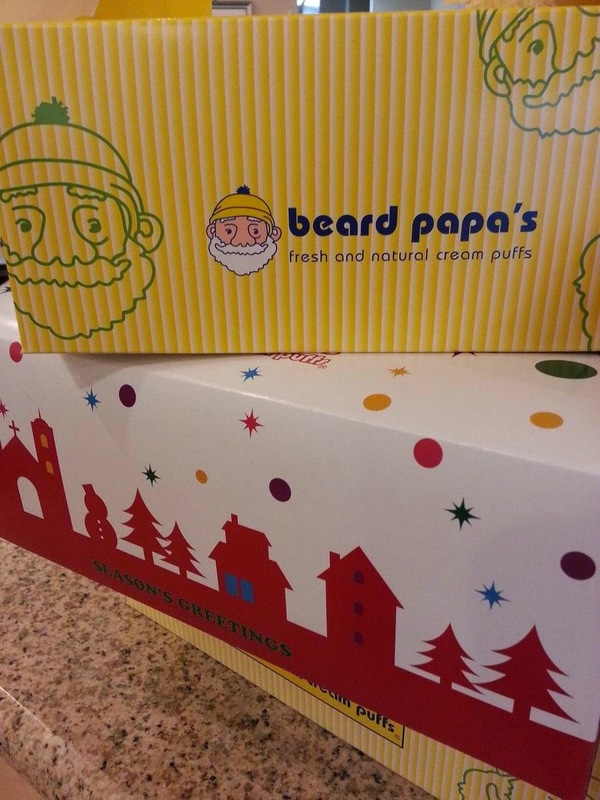 I couldn't find many stores in Japan though or maybe I wasn't looking hard enough, but when I did find one, the pastries looked really FRESH AND PUFFY! After coming back to Japan, I had my usual Boiling Crab cravings and noticed this store was COMING SOON! I got SUPER ecstatic because this place holds some memories for me. ^__^ Once this place was opened, Kev and I decided to checkkkk it out and we were not disappointed. They have a HUGE menu! They use ILLY COFFEE which is SUPER EXPENSIVE espresso beans if y'all didn't know (and very popular in Japan too and in Europe). 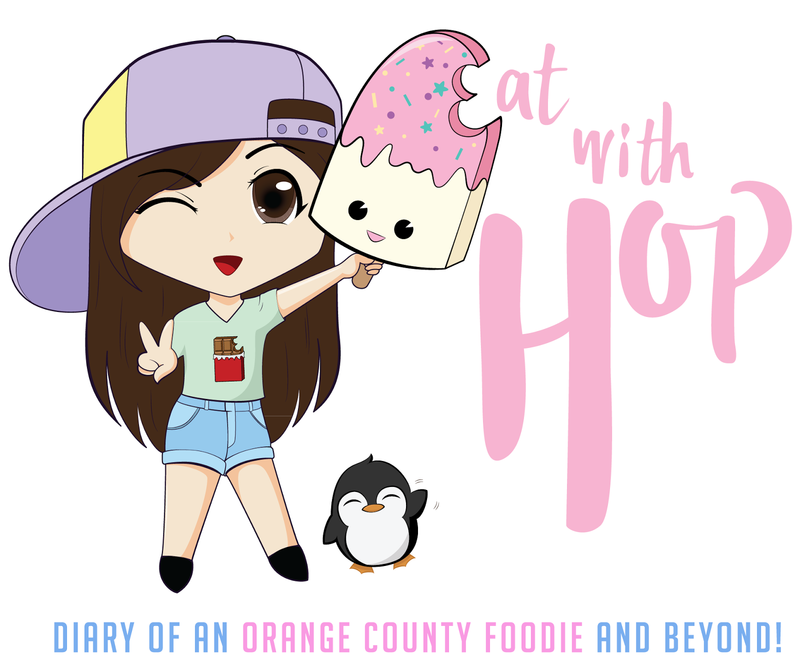 They've also got macarons, cheesecake, and ice cream and all sorts of yummy drink selections. 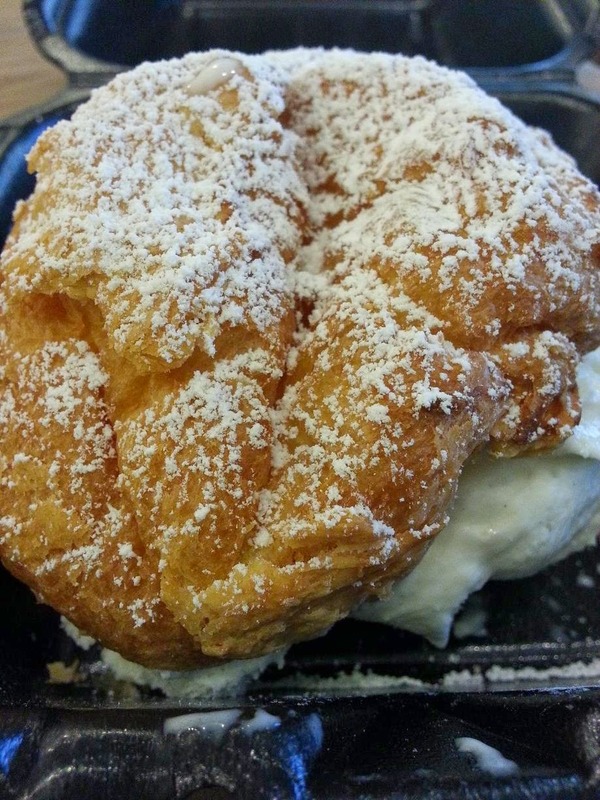 We decided to order fresh made cream puffs but couldn't choose between the flavors of the cream. We decided on a chocolate one and a vanilla ice cream one. THEY WERE BOTH YUMM! !